Our Lunch and Dinner Menu offers a wide variety of authentic Thai dishes to choose from. Join us for a dine in meal cooked fresh to order or call for take out. Mekong Thai Restaurant is located on the Parks Hwy in Wasilla. 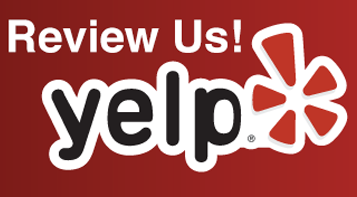 Were easy to find in the same mall as Value Village and the Mat-Su Family Restaurant. 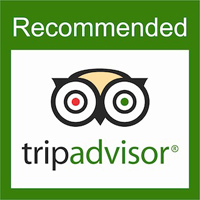 Mekong Thai Cuisine is one of the best Thai restaurants in Alaska. Owner and main chef Gary Vilyvong spent his childhood and grew up living along the banks of the Mekong River. It was there that he learned the authentic ways and recipes of genuine Thai cooking and why he decided to open a Thai restaurant. 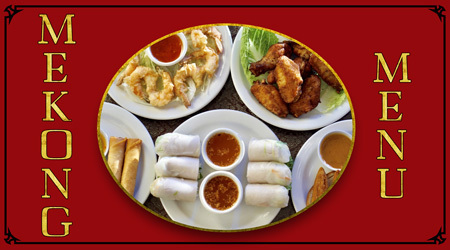 You will love and enjoy the fresh, authentic, Thai food ingredients and taste put into every dish at Mekong Thai Cuisine. Call us if you want fresh hot Thai food at your next event. 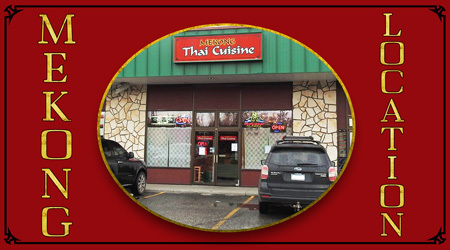 Mekong Thai Cuisine can cater events in the Wasilla, Palmer, and greater Mat-Su Valley area.